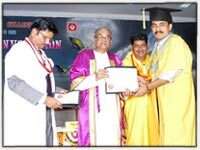 Kongu Engineering College was established by "The Kongu Vellalar Institute of Technology Trust". It is functioning in its new and permanent buildings at Perundurai, Erode district at a distance of 15 kms from Erode. 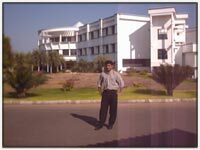 I like this college very much because the campus is well away from the bustle and distraction of the city, making an ideal centre for education. The whole campus is in possession of 156.447 acres of land. The college is having a reputation for its Techincal expertise, commendable facilities, record of performance with excellent results and enterprising students.